Be sure to change the oil regularly. Failing to have a proper oil change when needed could lead to serious engine problems later on. Check the air filter often for damage or clogs. Before heading out on the road, be sure to check the tire pressure. Poor tire pressure could lead to poor fuel efficiency along with other problems. Your lights should be checked before any major trips. That includes brake lights, fog lights, headlights, tail lights, and turning signals. You never know when poor weather will strike, and being able to see as well as having others able to see you is crucial. All fluids should be checked regularly. This includes transmission fluids, brake fluids, and power steering fluids. Anti-freeze and windshield wiper fluid levels should also be checked as well. Your engine belt should be checked regularly for missing portions, cracks, or other damage. As minor as it may seem, you should regularly check your windshield wipers. Old or damaged wipers will cause streaking and poor visibility when driving in poor weather. What Makes a Professional Truck Driver? Driving a large tractor trailer takes skill and patience. While there are plenty truck drivers available throughout the nation, there are some jobs that require a professional truck driver. When your business is relying on a freight shipment to arrive at a specific time, a professional truck driver is the best person to turn to. At Evan Transportation, we hire professional truck drivers to ensure freight entrusted to us is shipped in a manner that is safe, efficient, and quick. So what exactly makes a professional truck driver? Focus- A professional truck driver is focused on his truck only. He will avoid any distractions within the cab of his truck, including cell phones, food, and unnecessary passengers. While paying attention to surroundings is important when driving, a professional truck driver will avoid becoming involved with another driver and how they are managing their job. Safe- A professional truck driver never sacrifices safety when shipping freight. This means they never engage in aggressive driving behaviors, no matter what the circumstance is. A professional truck driver will never get behind the wheel when feeling fatigued, and will know when to pull over should they meet inclement or severe weather. Professional- There are drivers that sometimes let the road get the better of them. This means they will engage with aggressive drivers who feel the need to cut off or out run truck drivers on the road. While it may be easy to “teach” a lesson to other drivers, a professional truck driver never takes part in such behavior. Attentive- Being attentive is crucial when shipping freight in a tractor trailer or large semi-truck. A professional truck driver will always check the weather and traffic reports before leaving for his destination. This allows them to be aware of possible poor weather and congested traffic areas. Posted in Evan Transportation, Road Travel, Tractor Trailers | Comments Off on What Makes a Professional Truck Driver? In today’s workplace, most employees fail to get enough sleep from day to day. With long hours required at work along with a busy personal life, most working individuals fail to sleep enough hours in between their shifts. Because of this, fatigue can become a problem in the work place, and in some industries, fatigue can turn deadly. 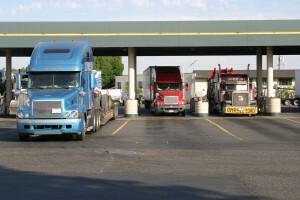 Truck driver fatigue is one of the most hazardous forms of driver fatigue. Because of the vehicle size and hours worked, truck driver fatigue can cause horrendous accidents in the Baltimore and Mid-Atlantic region. Evan Transportation hires and trains truck drivers who know the signs of truck driver fatigue and what to do when preventing or dealing with truck driver fatigue. 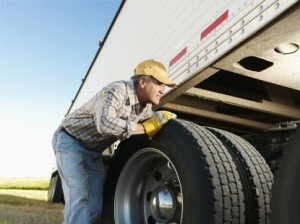 As truck driver fatigue progresses, drivers will notice a slower reaction to activity around them. This means stopping for traffic or traffic signals becomes slower, making drivers dangerous. Get a full night’s rest before a long trip. Avoid consuming high amounts of sugar before a trip. Instead, consume foods high in protein to prevent a sugar crash during your trip. Stay hydrated throughout your work day by avoiding sugary beverages and drinking plenty of water. Avoid consuming alcohol before trips along with avoiding prescription medications that could hinder your driving performance. Never multitask while driving, especially when experiencing truck driver fatigue. As soon as you begin to feel the signs of truck driver fatigue, pull over immediately and contact a fellow driver to explain the situation.